It's just a matter of time that drones will fetch you a cup of hot coffee right at your seat so that you save on some precious time in your office. The drone technology is advancing rapidly and we've already seen the first trials of Amazon using drones to deliver shipments in minutes after ordering. As you can imagine, future drones will have to be a lot smarter and a part of their job would be to land on moving platforms - like a bus or a truck. 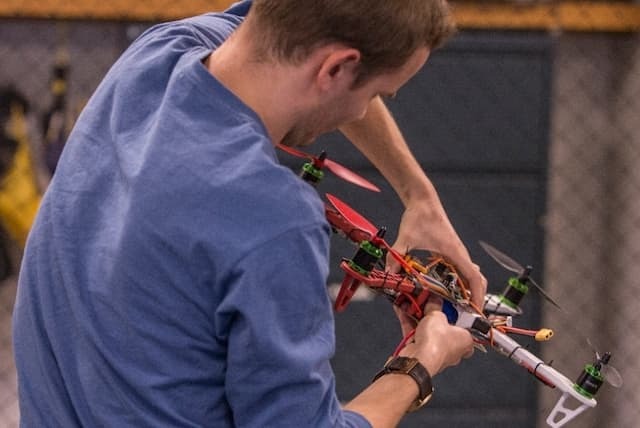 Landing drone on a moving platform is a difficult engineering challenge and researchers at the University of Cincinnati's College of Engineering have decided to fix this problem. Prof. Manish Kumar along with Nicklas Stockton and Prof. Kelly Kohen have explored the possibility of using 'fuzzy logic' to make drones smarter enough to figure out how to land on moving platform. Their study was presented at SciTech 2017 conference recently. The fuzzy logic technique uses 'human like' approach to solve problems. While computers rely on TRUE (1) or FALSE (0) logic, fuzzy logic relies on 'degrees of truth', where 0 and 1 are the extremes. The drones have access to large number of statistical data points obtained through various on-board sensors. However, the researched proposed a system that evolves over time in order to make good navigational decisions. Kelly Cohen said that their technique of using fuzzy logic has several advantages over other common techniques. This new technology is quite promising. Imagine a delivery truck equipped with a delivery drone that carries the shipment to your doorstep without actually requiring the truck to stop. Check out more information on the source link below.